Due to upcoming severe weather the first match of the second day was moved up by an hour. Because of this none of the drive team had arrived yet. Thankfully two wonderful members of one of our opponents in the match, Team 1418, decided to step in and help out. While the drive team did arrive just in the nick of time, they were instrumental in getting the robot setup and in place! As the qualification matches come to an end for the first day of the district competitions, we are going strong, currently ranking 6th. 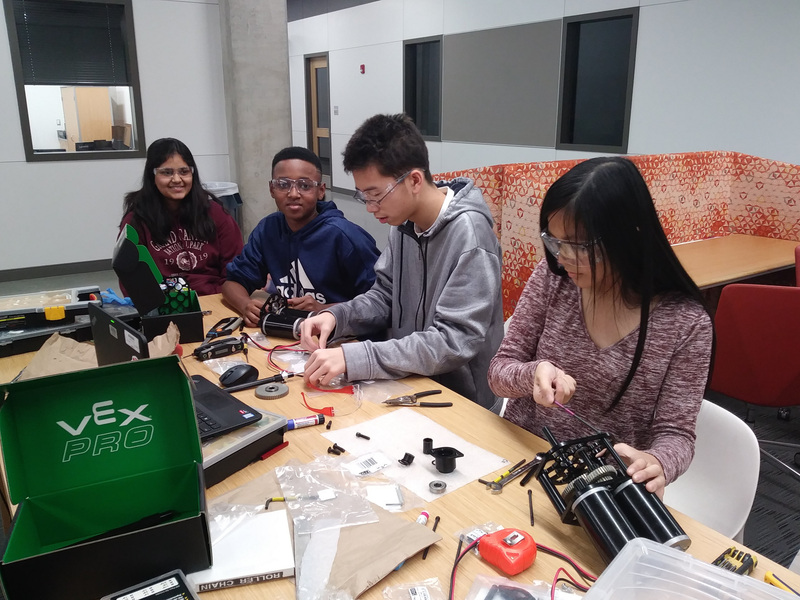 Here our members are hard at work, making sure our robot is 100% ready to do its best. The robot is equipped with bumpers and is ready to dominate these competitions. Good luck to all teams involved, remember safety is priority, and may the best robots move to the championships!